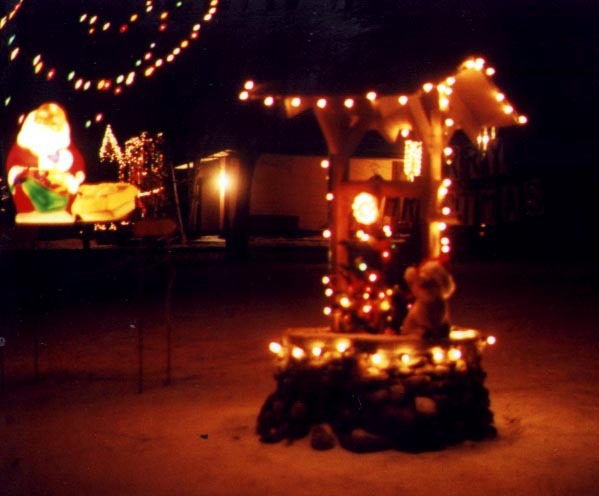 The major addition for 1999 was the computer-controlled “Merry Christmas” sign It supplanted the tree of lights as being the most eye-catching display item. We also added the “Santa Kneeling by Baby Jesus” display shown. Tim and Cathy were married in October 1999, so it was our first Christmas together.